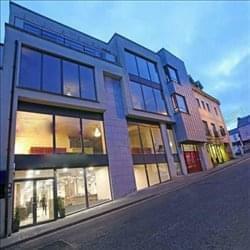 Find My Workspace lists over 95% of the serviced offices market in Waterford. Simply click Request Quote to check pricing for one office, or Add to Basket for multiple offices. Whether you are an entrepreneur, part of a bigger team or a business professional, you are focused on the development and growth of your business. This workspace creates the perfect refreshing, functional and professional setting to support you and your business throughout that journey. Workspaces are created with innovation in mind, allowing you to work comfortable and efficiently. You can join a thriving community around you where you can work and learn alongside other professionals. Workstations are fully equipped and furnished, with plenty of flexibility through various memberships. The centre ensures you stay connected at all times with high speed internet and 24 hour building access. Other amenities include member events, access to common areas and front desk services. This impressive business centre provides a range of furnished office-spaces available on flexible terms. Here, tenants can take advantage of the affordable prices and premium service which can be tailored to suit individual business requirements. 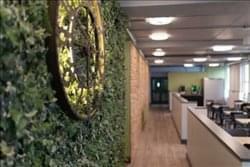 All work-spaces benefit from plenty of natural light throughout the day, creating a serene and positive working environment. Professional amenities available here include 24-hour access, fully serviced meeting rooms, break-out areas to unwind and high-speed internet. A front desk support service is also employed here, providing assistance with administrative duties. This impressive business centre provides a range of furnished office-spaces that are available on flexible terms at affordable prices. Choose from co-working spaces or private offices to suit your individual business needs. Professional amenities include equipped meeting rooms, access to communal kitchen areas and chill-out area for relaxing outside of your workstation. The building is also accessible 24-hours a day, ideal for those employees required to liaise with overseas clients operating in different time zones. Business resources are also provided at this prestigious centre, including copy & printing facilities, conferencing services and high-speed WiFi. To obtain information for your selected County Waterford Serviced Offices, please tick the "Add to basket" box for each office you prefer and complete the form below. We will then send a detailed report via email.